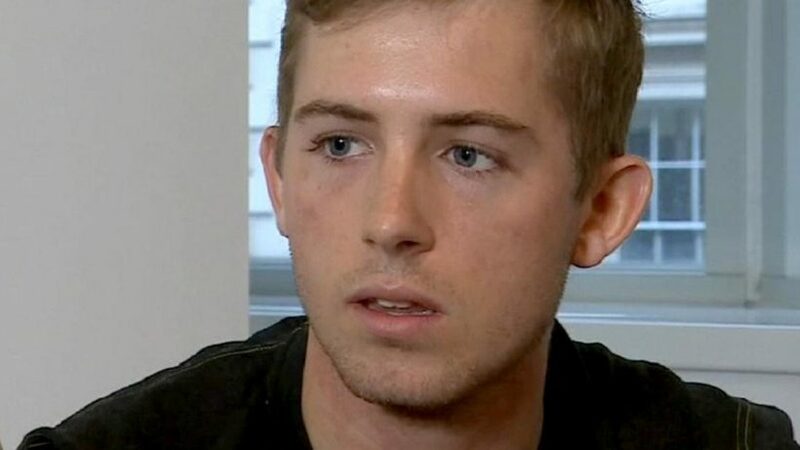 Brooklyn college student Mark Kindschuh will receive the ROTC Medal of Heroism for risking his life to help a man who had been shot by a terrorist in the most recent London attack. (by Gabrielle Fonrouge, NY Post, Sept. 5, 2017) – Brooklyn teen Mark Kindschuh was crouched under a table at The Wheatsheaf pub in London along with his buddies while just feet away a middle-aged man lay profusely bleeding from the head amid a terror attack. He worked as a lifeguard in Breezy Point, Queens, during his summers growing up and volunteered at a long-term-care facility while a senior at Regis High School. He remembered the first-aid lessons he was taught as a lifeguard and an ROTC cadet and [tried to stop the bleeding]. …When Sen. Charles Schumer (D-NY) and Rep. Dan Donovan (R-SI) [heard the story, they] sent a letter to the US Army telling officials Kindschuh should be awarded the ROTC Medal for Heroism — the highest Department of Army medal awarded to ROTC cadets — and they agreed. Kindschuh will be honored at a ceremony in the coming weeks. [When he got home that night]…he decided he could either be depressed about the situation or use it as motivation. [His father, Dr. Mark Kindschuh is the director of Coney Island Hospital’s Emergency Department. Speaking exclusively with Eyewitness News, he said his wife had a bad feeling when they couldn’t get a hold of him in the hours following the terrorist attacks. “He stayed with him and didn’t think of anything of himself,” Dr. Kindschuh said. Dr. Kindschuh said what’s remarkable to him was the selflessness his son displayed while panic and chaos was raining down.